The objective of the 360 Indicator survey is to obtain information on how much your self-perception as a team leader or manager is consistent with the perception of others. This information constitutes an important element of analyzing what impact your leadership style (D3 + BAI: behavior + motivations) might have on the people you work with – their effectiveness and commitment and what you can do to become an even more effective leader or manager. What makes our assessment stand out (360 Indicator v. 360-degree feedback available on the market up to now)? – 360 Indicator diagnosing instead of evaluating. The 360 assessment’s questionnaire and reports are prepared in a way which emphasizes a given person’s strengths and areas which should be taken into account in order to develop one’s natural potential in cooperation with others and achieve faster personal and organization goals. – Innovation on the market – slider scale, which reflects the respondent’s opinion towards a particular trait of a person who is the subject of the survey, mitigating the feeling of being judged, is applied in the 360 assessment. 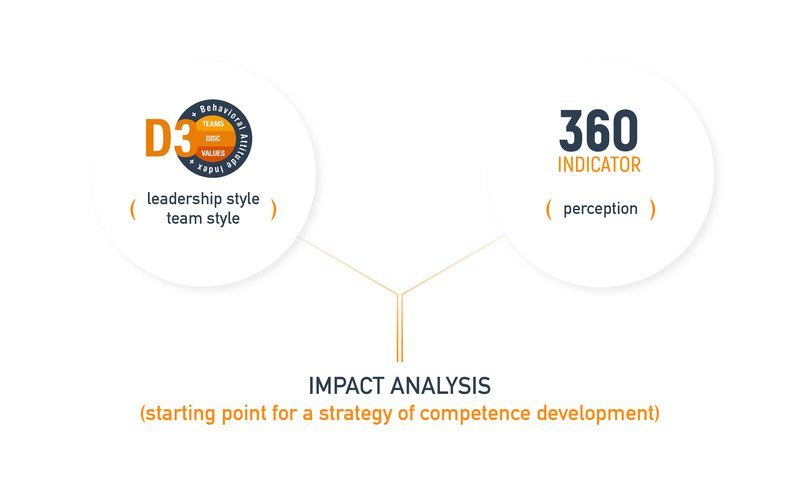 – Our 360 reports are not only a presentation of answers in particular areas of behavior, but they also constitute the Strategy for Success – a space to elaborate an action plan for development of specific competences in employees. 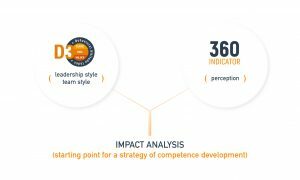 – 360 Indicator includes ready-made competence diagnosis surveys (management, leadership, team work competences) as well as the possibility to create a tailored survey taking into account expectations of the organization and its leaders, elements of organizational culture. – Our surveys take into account these aspects of behavior, values, motivation which are also diagnose by D3 (DISC/TEAMS/VALUES/BAI) competence assessment. The 360 assessment includes different areas of a leader’s efficiency. which should be taken into consideration while thinking about the development of competences (with less consistency between one’s opinion about themselves and the opinion of others). LPI 360 (Leadership Performance Indicator) – the aim of the assessment is to obtain information which will later be used to diagnose the leader’s impact on the team (positive, hidden, neutral).